Extra Condensed started life as a little idea over drinks in the pub. Where all the best ideas begin, obviously. A fizzy flash of third-pint inspiration. It really did seem like a good idea at the time. Little did we know just how much we were about to bite off. 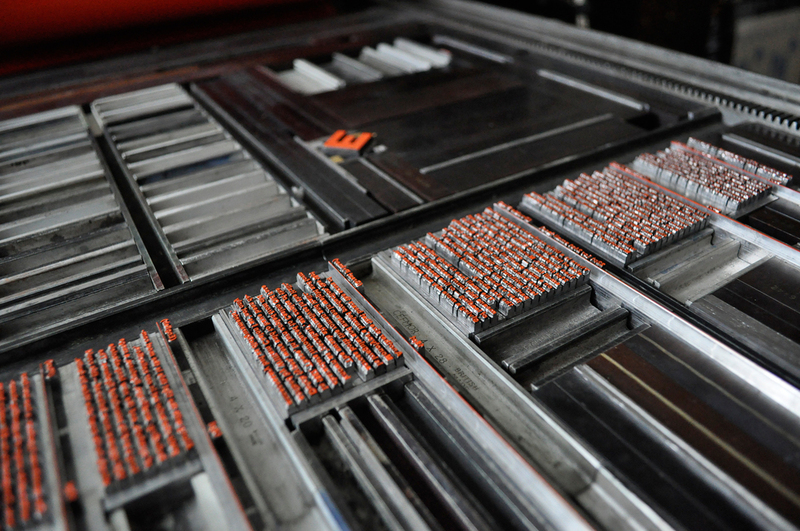 The idea was simple enough: to design and produce a small newspaper, entirely hand type set and letterpress printed the old way. The aim was equally as straight-forward: to take what is today a fairly exclusive and expensive process and use it to create an accessible and inexpensive piece of contemporary editorial design. 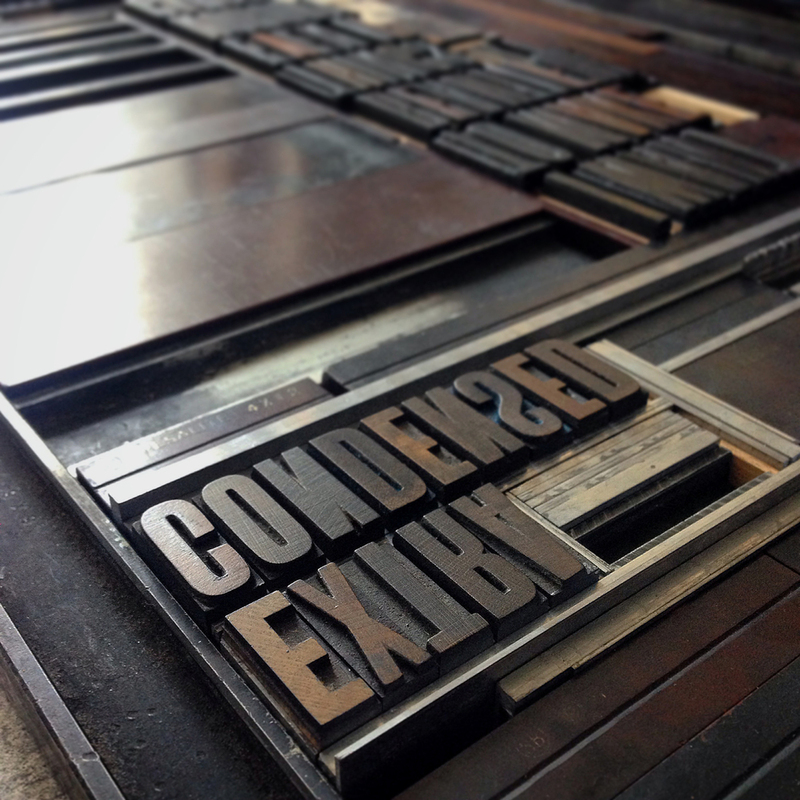 The modest 'articles' – mainly about typography and language and written by us – were all designed and typeset by hand using traditional wood and metal type. Each spread was composed from scratch and arranged in separate formes for the two colours. 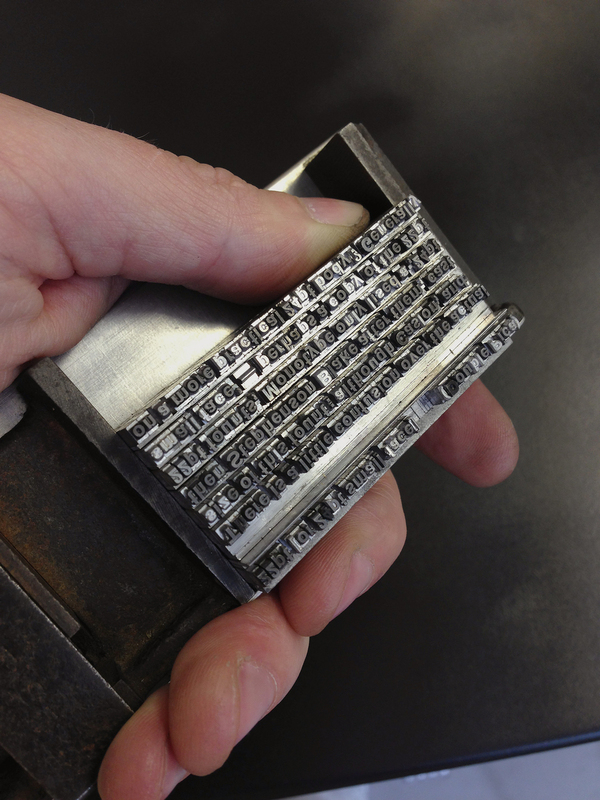 The paper was printed on a hand operated 1965 Vandercook SP-20 cylinder proofing press. In the end, our little idea amounted to: over 5000 individual pieces of hand-set type, rule and furniture; at least 1350 printed impressions, each pulled by hand; 150 finished copies, collated and folded with accompanying envelopes; 33 weeks in the making; 20 different founts of type used; two colours; issue No.1.